Gabe Konrad, of Bay Leaf Books in Sand Lake, Michigan, has informed me of a new Web site he's launched devoted to bookseller labels. He writes, "I wanted a place where I could post interesting label news and keep a current list of links." Have a look at www.booksellerlabels.com and see if you agree with me that he's off to a fine start. I'll certainly be checking in regularly to see what's new. 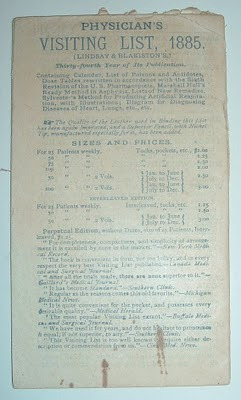 He has some great examples and helpful information on this diminutive paper collectible. 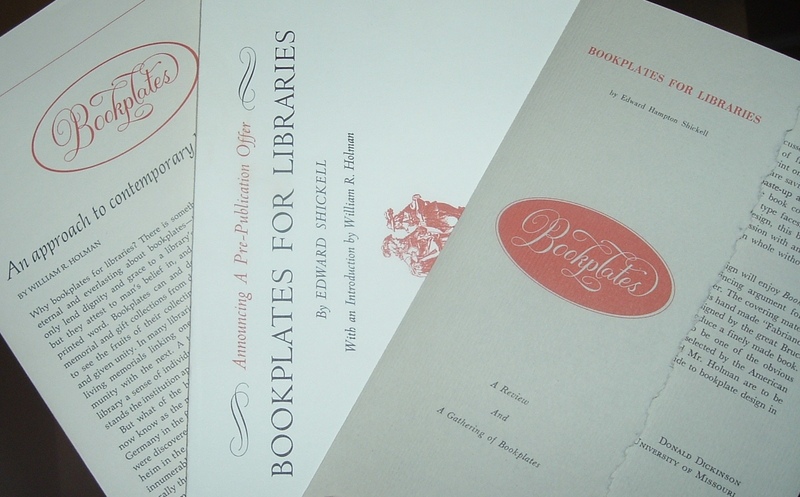 From time to time, I feature a few bookseller labels on this blog--those tiny, stamp-sized stickers that advertise a bookseller's business. 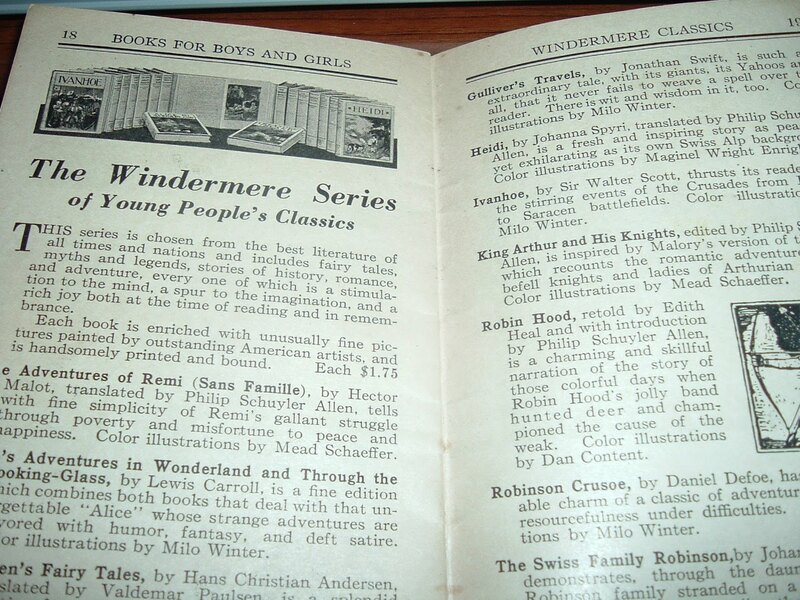 You usually find them in older books affixed to a lower corner of either the front or rear endpaper. Some examples from my small collection are shown below. 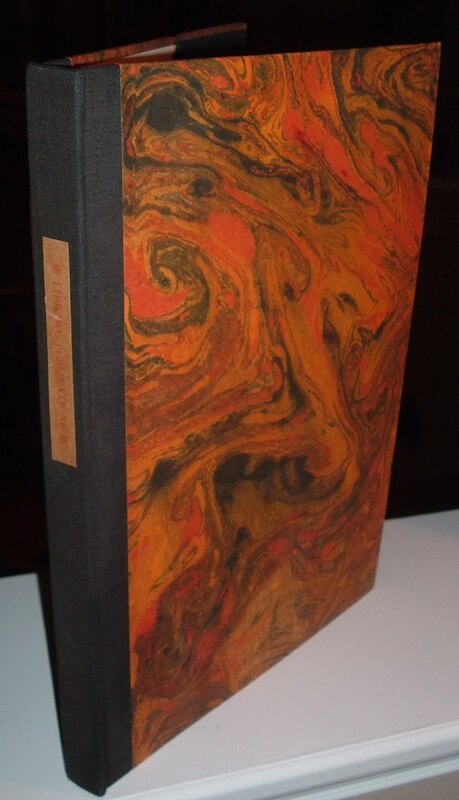 Here's a few other collections that I've referenced before, which you'll also find on Konrad's site: Seven Roads Gallery of Book Trade Labels and the massive collection of Austrian collector, Reinhard Öhlberger, who has what is likely the largest collection of these labels--more than 24,000. Sarah Faragher's collection is also noteworthy, and I've corresponded with a Dutch collector, whose collection is extremely impressive. 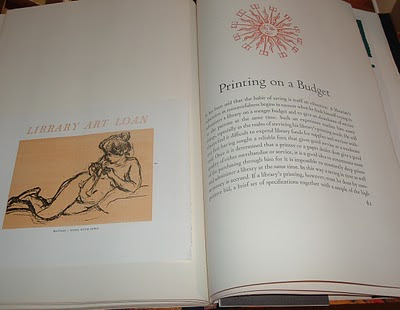 But check out www.booksellerlabels.com for much more on this interesting collectible from booksellers both long gone and still with us. 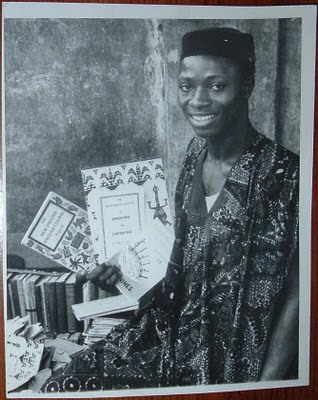 Here's an interesting picture of an African bookseller who is in danger of losing his business. The economy has nothing to do with it. Progress is about to do him in. 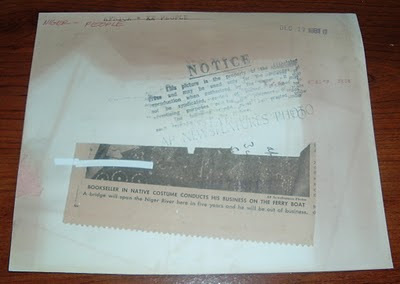 The year is 1961 and the reverse side of this Associated Press wire photo (below) indicates that this bookseller keeps shop on a ferry that transports passengers across the Niger River (country not named). In the near future, within the next five years, a bridge will be built across the river in the location where this ferry boat runs. Modern times and technology, circa 1965, will eliminate the need for water transport of people. No ferry, no book shop for this enterprising young man. His books appear to be used and antiquarian in nature, with perhaps a few newer titles in the mix. 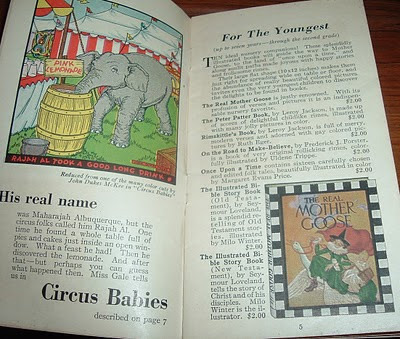 The titles that are legible are in English (and the newer looking books). 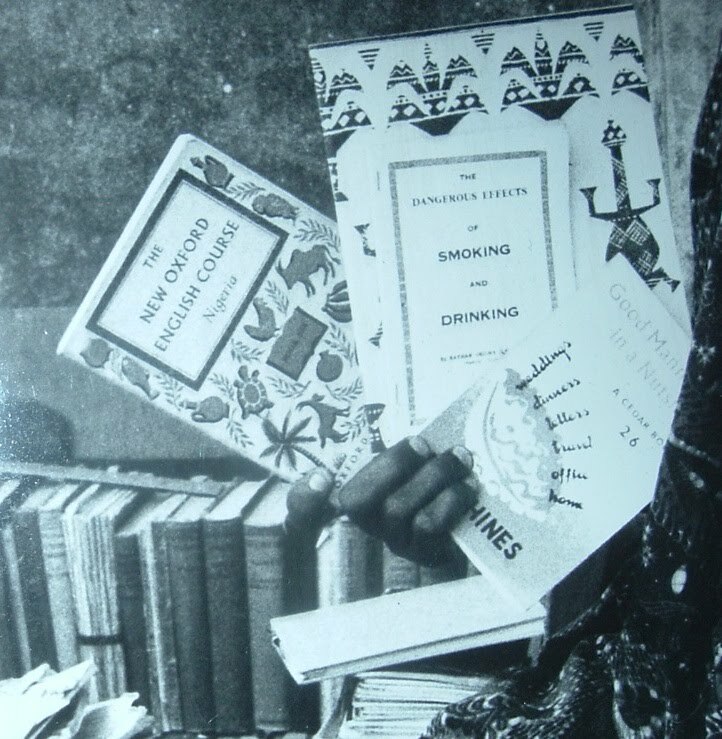 A dictionary, a book about manners, and one about the dangers of drinking and smoking. With the much older looking books on the table, the stock certainly appears eclectic in subject matter. So what happened to the bookseller when that bridge was inevitably built some 45 years ago? Another ferry down river? A terrestrial setting? Whatever the surface, I think this guy probably landed on his feet. Does this look like a haunted building? 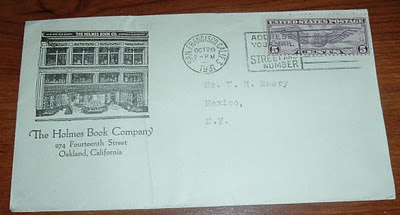 The Holmes Book Company was located here at 274 Fourteenth Street in 1931 according to the postmark date on the postal cover below. And according to some, a ghost roamed the stacks mischievously throwing books and making some of the patrons feel uneasy. An article on haunted Oakland touches on this phenomenon. 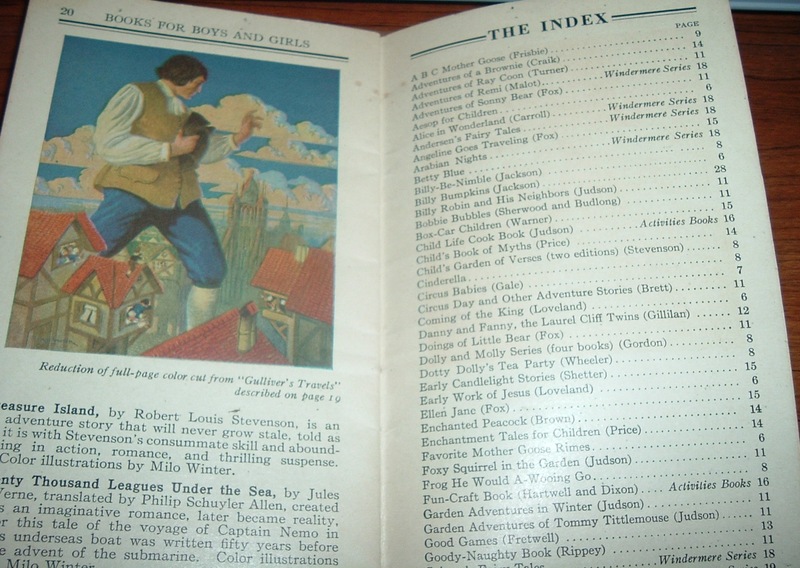 You can search the Internet, using the keywordsHolmes Book Company ghost, and find the same or similar references to the spooky goings on in the old book shop building. Holmes was Harold C. Holmes, who lived from 1877-1965. 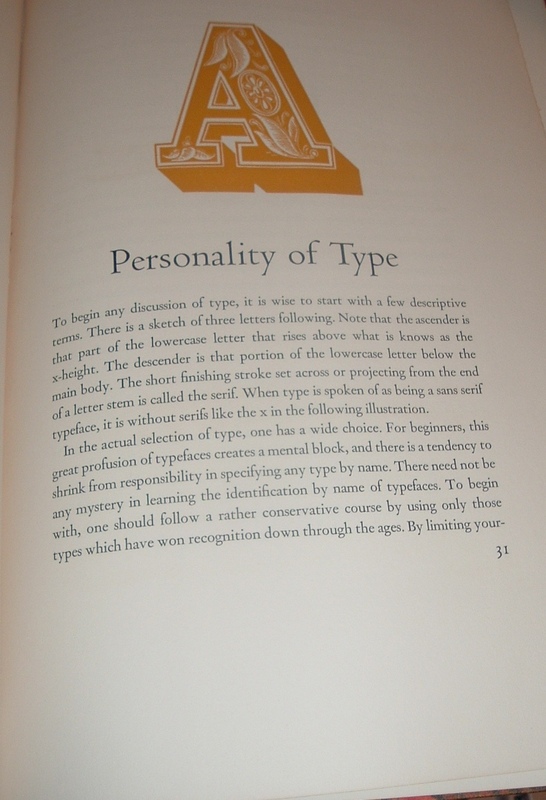 A brief biography of Holmes is found at the University of the Pacific in Stockton, where his papers are archived. He was born in Toronto, Canada, but his family moved to the San Francisco Bay Area when he was about five years of age. 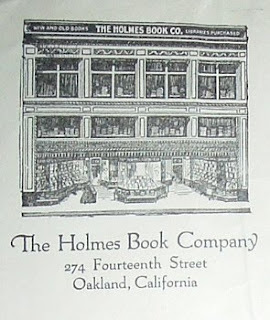 There, his father started the Holmes Book Company, which had several antiquarian book shops in San Francisco and Oakland and offered the opportunity for Harold Holmes to enter the business. 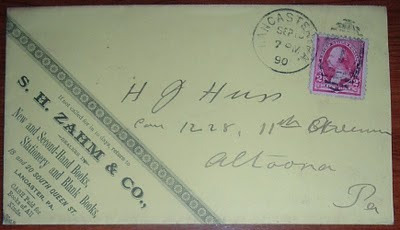 As a teenager, the younger Holmes worked with his father and eventually succeeded him in the family business, which he operated until he died. 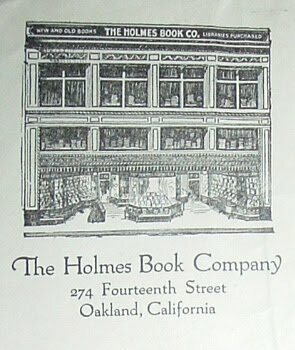 An authority on California literary history, in his middle years Holmes was also active in Oakland civic affairs, serving as president of the Oakland Rotary Club (1946-47), a member of the Alameda County Probation Committee (1948), and, a trustee of the California College of Arts & Crafts. Holmes was working on his memoirs at the time of his death. Those memoirs were published posthumously in a volume titled: Some Random Reminiscences of an Antiquarian Bookseller. 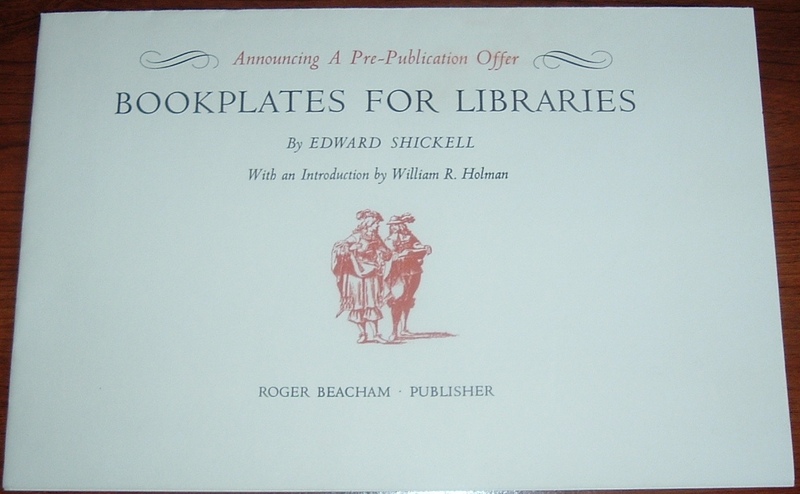 As the Thanksgiving Day holiday is upon us in America, where celebratory gatherings and dinners take place in honor of the pilgrims' first Thanksgiving feast, here's a (tenuous at best) pilgrim-themed piece of book trade ephemera for the occasion. 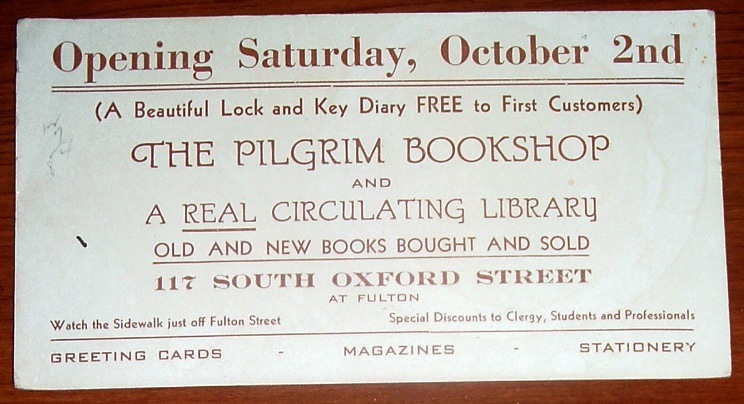 Well, this was as close as I could get to something Thanksgiving related--a blotter for a book shop with the name "Pilgrim." Were it located in Plymouth, Massachusetts, it would add a degree more of appropriateness. However, this book shop appears to be in Brooklyn, according to the dealer who sold me the card, as well as a google map search on the address. Brooklyn is the only place I've been able to locate an intersection with the two street names indicated on the blotter. Locating any other details about this book shop has hit a dead end. 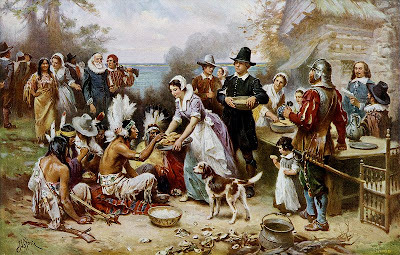 These pilgrims seem to have vanished without a trace. All I have is what's on this roughly 3-by-6-inch blotter, which dates about 1930s. 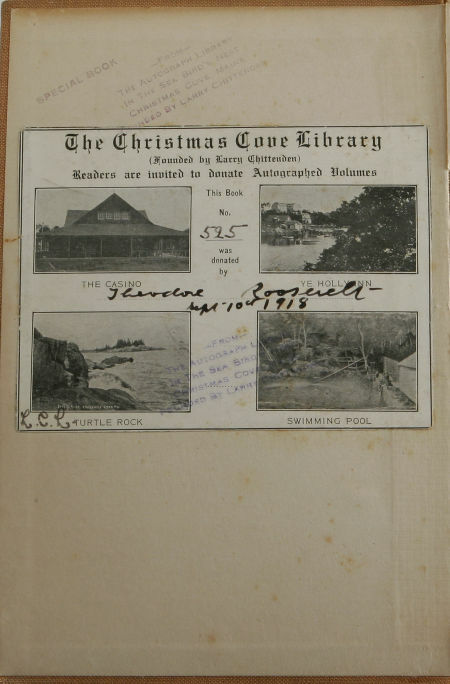 October 2nd was the grand opening of the book shop, which also billed itself as a real circulating library. Why the real modifier, I don't know. 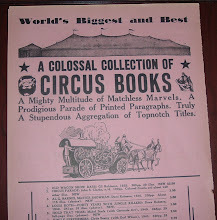 Were there pretenders in the circulating library business? 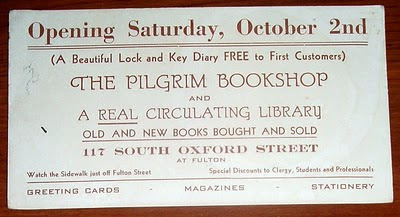 In addition to the library, Pilgrim Bookshop was to sell new and used books (indicated by their purchasing wants), as well as magazines, greeting cards, and stationery. Without any evidence on the Internet of their existence--no references from any source--I wonder if they made it to their own opening? Did it become a neighborhood fixture for awhile? Did the literati and casual shoppers gather there? Maybe I'll find a clue someday and update this. 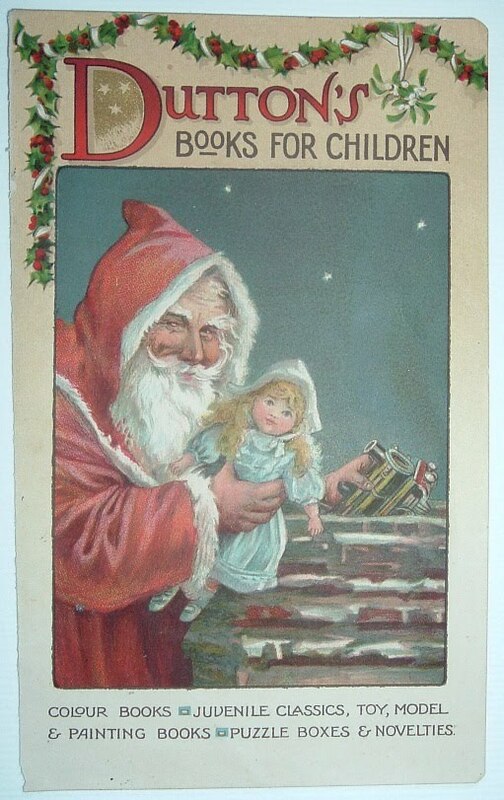 Here's an ad cover from 1890 for a Lancster, Pennsylvnia bookseller who used a little creativity with the advertising on the envelope. Most ad covers, or postal covers, contain a standard return address in the upper left corner that includes the essential business information of name and address (example). 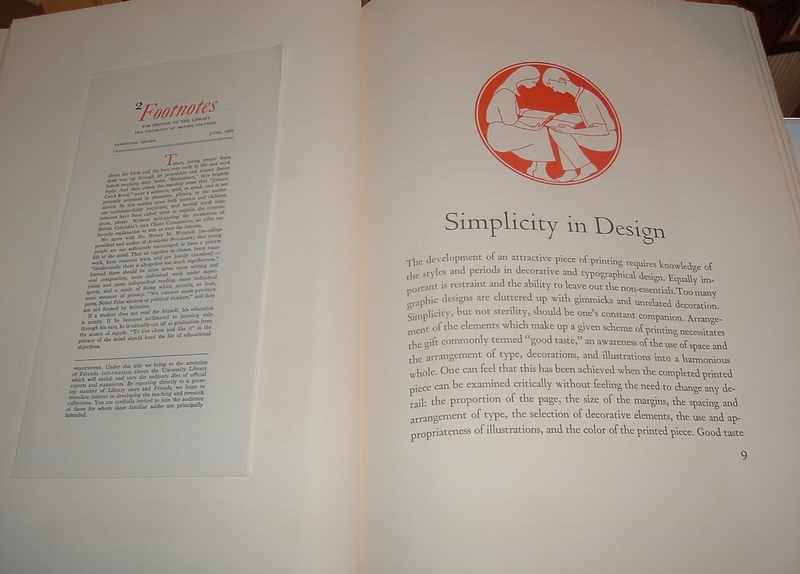 Some add a logo or cameo (example) to catch attention. Some add to these things information about their business or inventory (example). 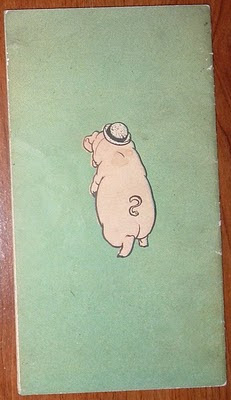 And some have stretched their creativity to include illustration of the cover's front, back, or both (example). S.H. Zahm combined some of the above with a twist that is an effective eye-catching design. He chose to use a triangular shape in the lower-left portion of the cover to disseminate business information down to the point of the lower-left corner. It's finished with a decorative border. 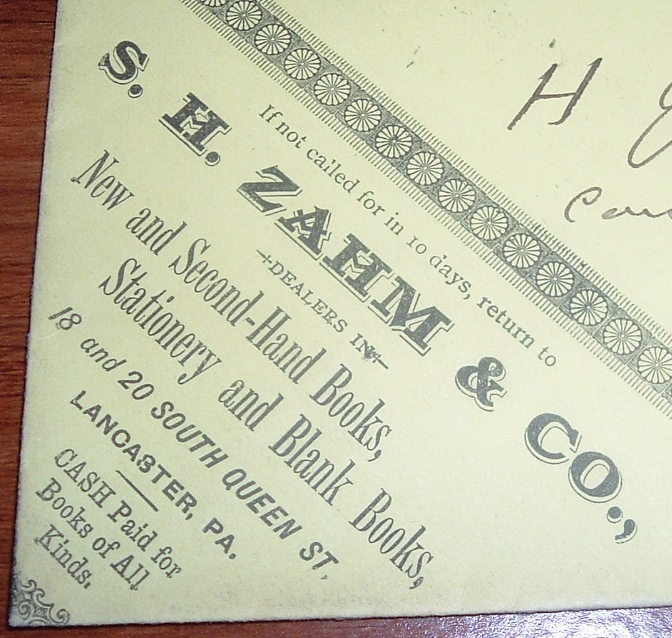 Samuel Hensel Zahm, head of the bookselling firm of S. H. Zahm & Co., of Lancaster, Pa.. died at Tampa, Fla., on February 5. Mr. Zahm had gone to Florida for his health on December 28 with his wife; but be was not supposed to be in a critical condition and his death was a severe shock to his relatives and friends. He was born in Lancaster, Pa., March 9, 1840. 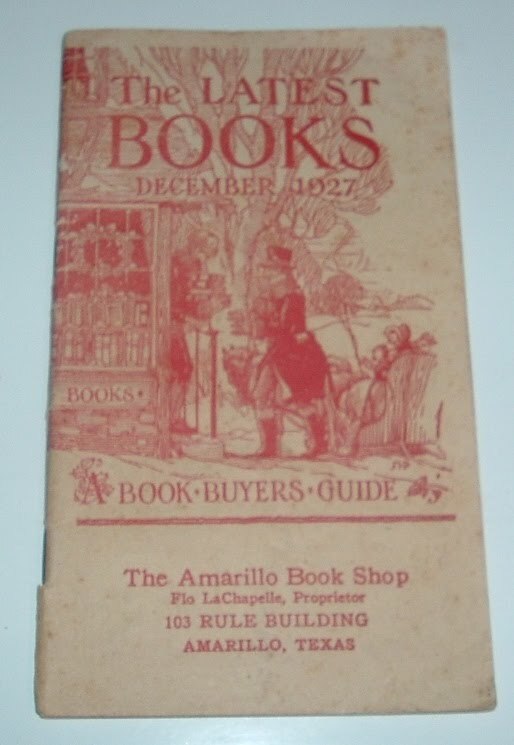 In 1875, after having been engaged in the book business in Kansas City and as travelling salesman for a Pittsburg firm, he returned to his native town and with William Reichenbach opened a small second-hand bookstore. 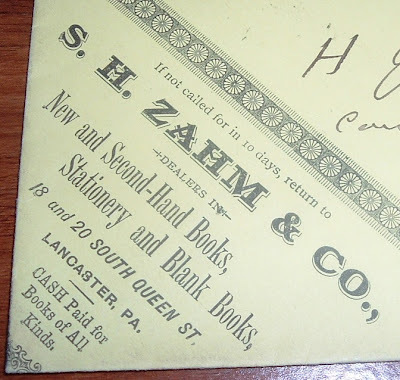 His partner died in 1878 and Mr. Zahm formed a partnership with Samuel Auxer, under the firm-name of S. H. Zahm & Co. At that time his store was removed to 18 and 20 S Queen St., where the firm has since carried on a flourishing business. Mr. Zahm was active in municipal affairs, having been a member of the common council and the board of health. He was a charter member of the Lancaster County Historical Society and of the Pennsylvania German Society, and belonged to several other local and general organizations. He was a student and scientist, well versed in archaeology, his collection of stone implements and relics of American aborigines being a remarkably fine one, numbering many thousands of specimens. As an antiquarian and bibliophile he was regarded as an authority, being particularly well posted on Americana. He was prominently identified with the Methodist Episcopal Church of Lancaster. Mr. Zahm was twice married, his first wife and their two children having died several years ago. His second wife survives him. The two ornately designed bank drafts below, with what appears to be revenue stamps, were drawn on the account of a prominent Cuban bookseller, Ricardo Veloso, in Havana in 1920 and 1921. 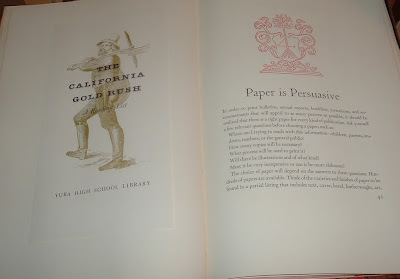 Each paper is approximately 5 X 9.5 inches (12.5 X 24 cm). From the book, Havana Deco, by Alejandro G. Alonso, Pedro Contreras, and Martino Fagiuoli (W.W. Norton & Company, 2007), I gleaned a few facts about Veloso and his Libreria Cervantes. Ricardo Veloso's full name was Ricardo Veloso Guerra and he founded Libreria Cervantes in 1910. Eventually boasting the largest inventory of books in Havana, Libreria Cervantes also distinguished itself as the first bookstore in the city to sell books on credit. Veloso (Guerra is dropped in most references) also edited and published books for Cervantes. In 1926, Veloso merged his company with Cultural S.A. and they expanded their business in Cuba as well as abroad. In the process, they assumed a prominent role in Havana's literary and cultural circles. 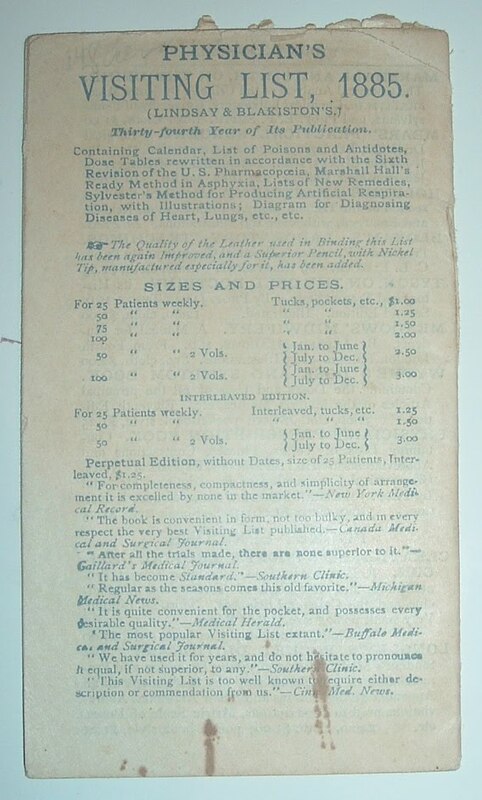 In a medical/surgical state of mind lately, thanks to recent orthopedic surgery, I browsed my bibliophemera collection and found a related catalog from a 19th-century bookseller to share. Further, the bookseller shares my name, albeit with a different middle initial. 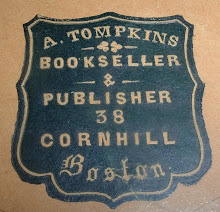 Charles H. Whiting, Bookseller, of Boston (successor to Hall & Whiting, Booksellers & Stationers), offers in the 1884-85 season Catalogue No. 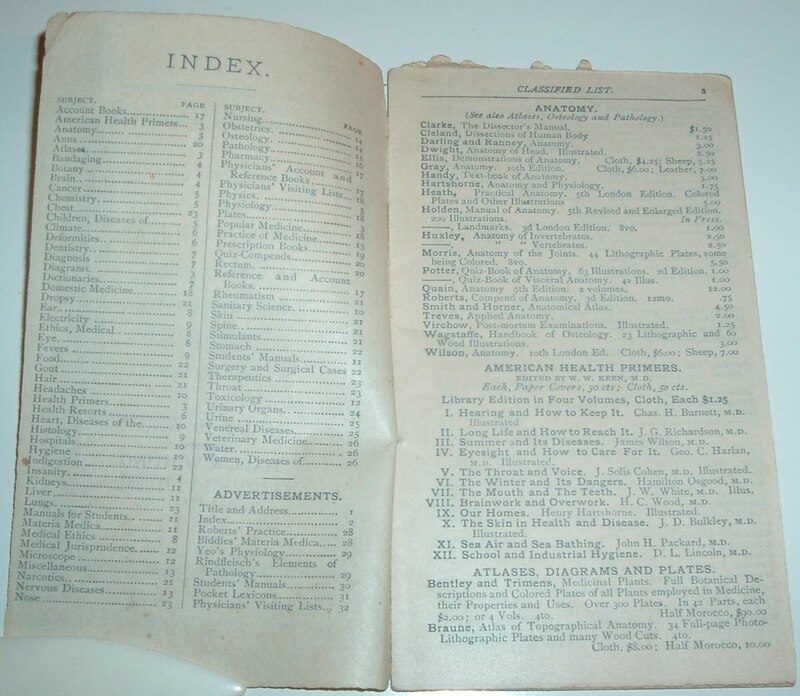 3: A Classified List of Medical, Surgical, Dental, Pharmaceutical, Chemical and Scientific Books. 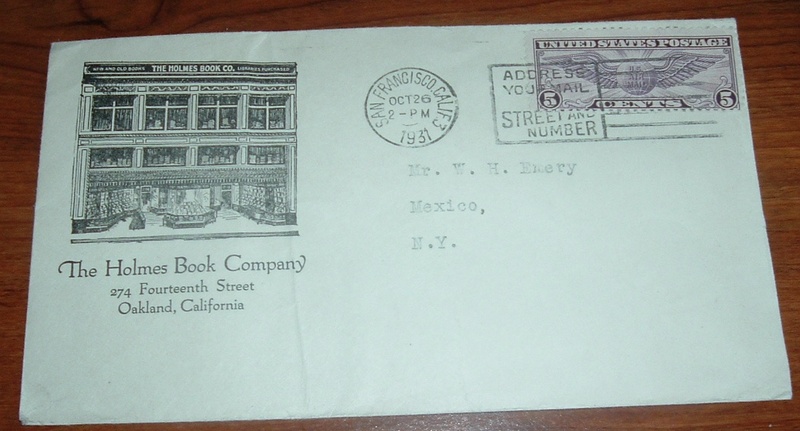 The space beneath the title was left blank for the bookseller's stamp, which led me to believe Whiting was an agent for a medical book publisher. If so, the publisher's name is nowhere to be found in this catalogue. 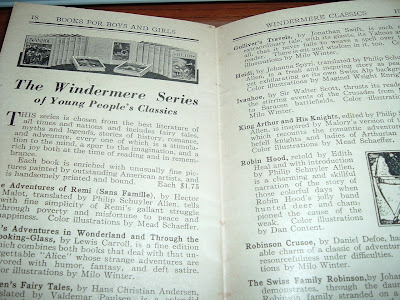 This compact little catalogue measures 3 by 5.5 inches (8 by 14 cm) and has 27 pages of book listings with prices. Following page 27 are several pages, including the back cover pictured above, of ads for books and student manuals. 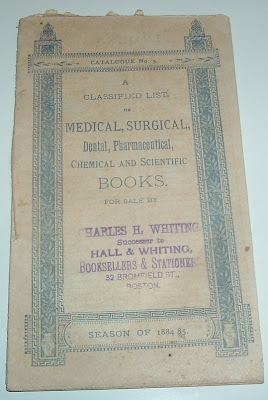 Curious about how well-represented the field of orthopedic surgery was in this bookseller's stock in 1884, or if it was represented at all, I did find after a couple of passes through the Surgery and Surgical Cases section the book, Orthopaedic Surgery, by Sayre. 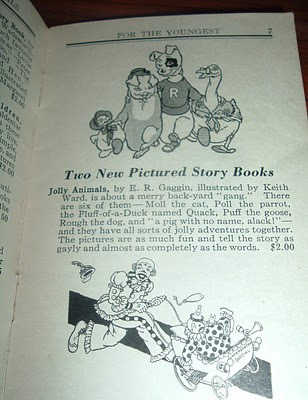 Back then, you could have it for $5 cloth-bound or $6 in sheepskin. Author Lewis A. Sayre (1820-1900) wasn't hard to find, as he's considered a founding father of orthopedic surgery in the United States and the first professor of orthopedic surgery in the US as well. 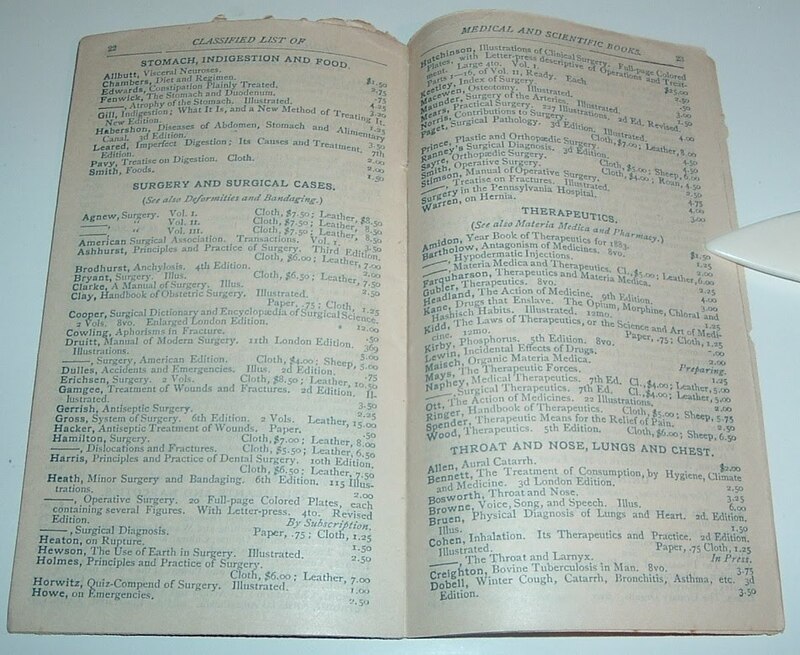 The link above provides a fascinating look into one branch of surgical history. And a comparable catalogue from Charles H. Whiting today would likely go many more pages than its 1884-85 counterpart and include a better selection on orthopedic surgery. 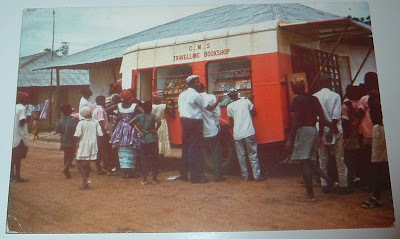 It's been awhile since a bookmobile rolled though this blog, but here comes one now--the C.M.S. Travelling Bookshop from Freetown, Sierra Leone in West Africa. C.M.S. stands for Church Missionary Society, founded in London in 1799. They didn't take long to get to Sierra Leone, just five years later in 1804 with their first overseas mission work. 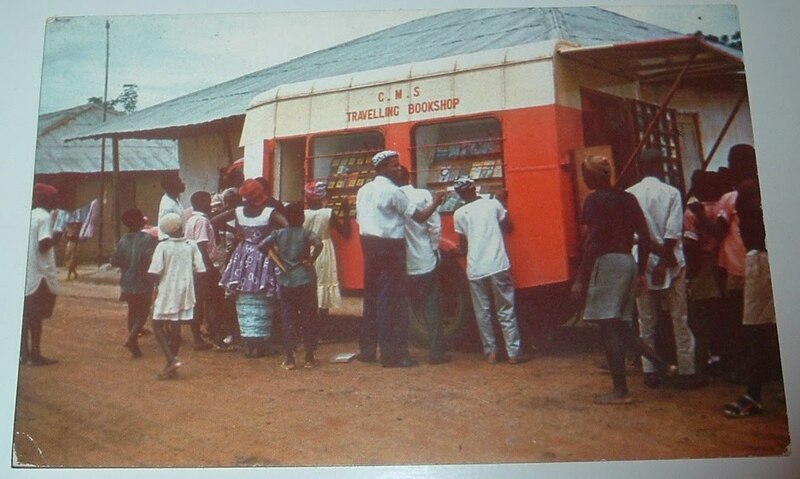 I don't know when the book shop got started, nor when they put their books on wheels to reach more folks, but this postcard appears to depict an early 1960s bookmobile. 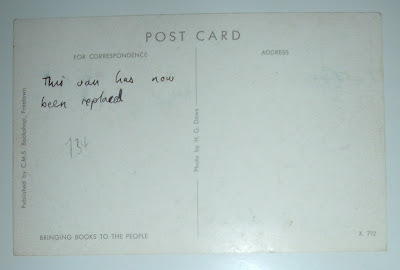 A note on the back indicates the pictured vehicle has been replaced. And, from scouring the Web, there appears to be a network of CMS book shops across the many countries where the Society is active. Perhaps there is no need, or maybe no budget, for CMS bookmobiles today, but judging by the crowd gathering in the postcard image, there definitely was a need some fifty years ago. 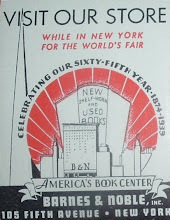 An early booksellers' association in America was The Booksellers' League of New York, founded in 1895. Princeton University Library has a collection of related ephemera in their Department of Rare Books and Special Collections, Manuscripts Division. 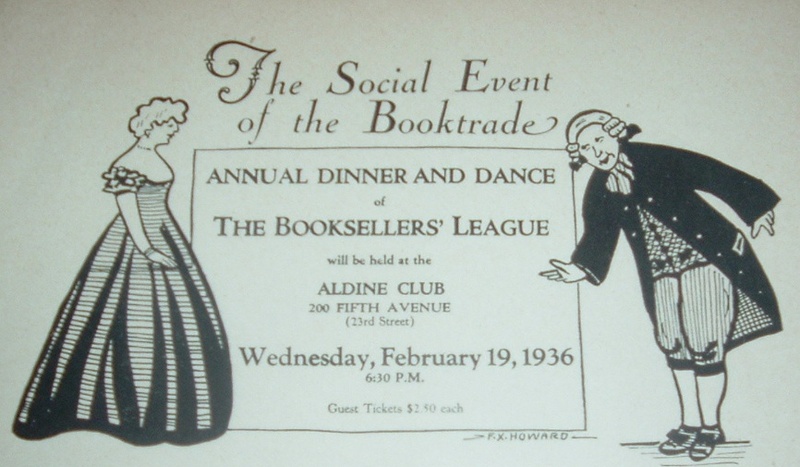 I have one item in my collection, a copy of which may also exist in those archives: An announcement for the 1936 Annual Dinner and Dance of the Booksellers' League at the Aldine Club. 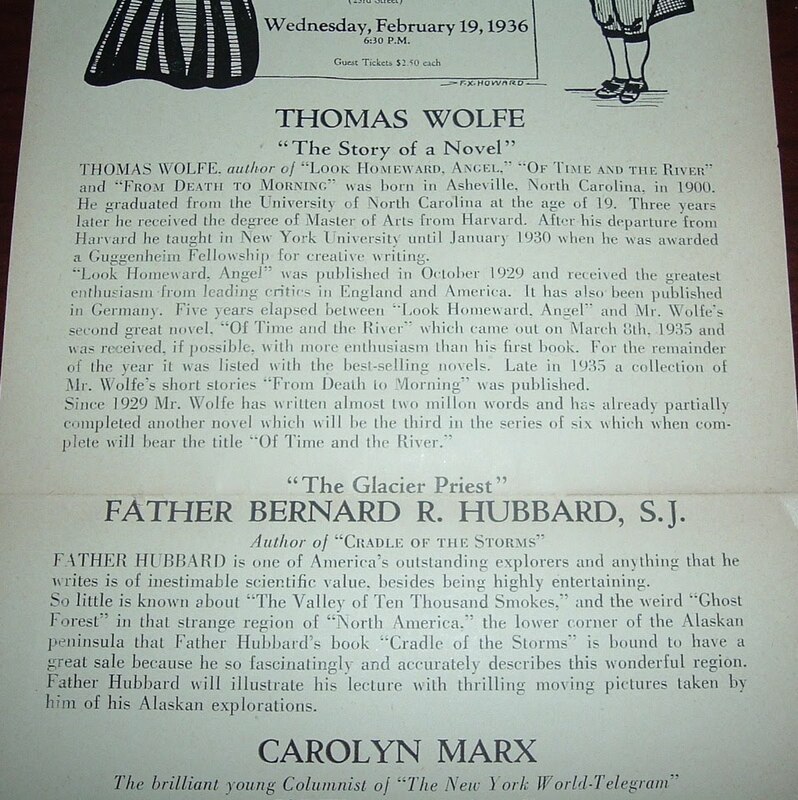 Thomas Wolf was a featured speaker at the dinner that evening, which gives perspective to the level of quality and character of the organization. 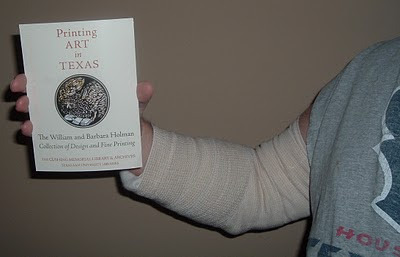 As my surgically-repaired (last week) right arm is currently useless, and left-handed typing is s-l-o-w, I'll just include here a couple of Booksellers' League history excerpts from two reliable sources. 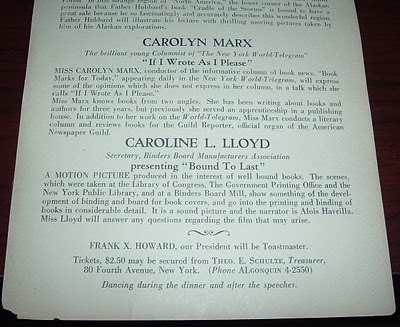 Founded in 1895, the Booksellers' League of New York was an organization aimed at promoting a professional and collaborative spirit among members of the book trade. Its founding officers were J. N. Wing of Charles Scribner's Sons, A. Growoll of Publishers' Weekly, and C. E. Savage, of G. P. Putnam's Sons. The League organized social events related to the profession, most notably monthly dinners with invited speakers and an annual banquet. 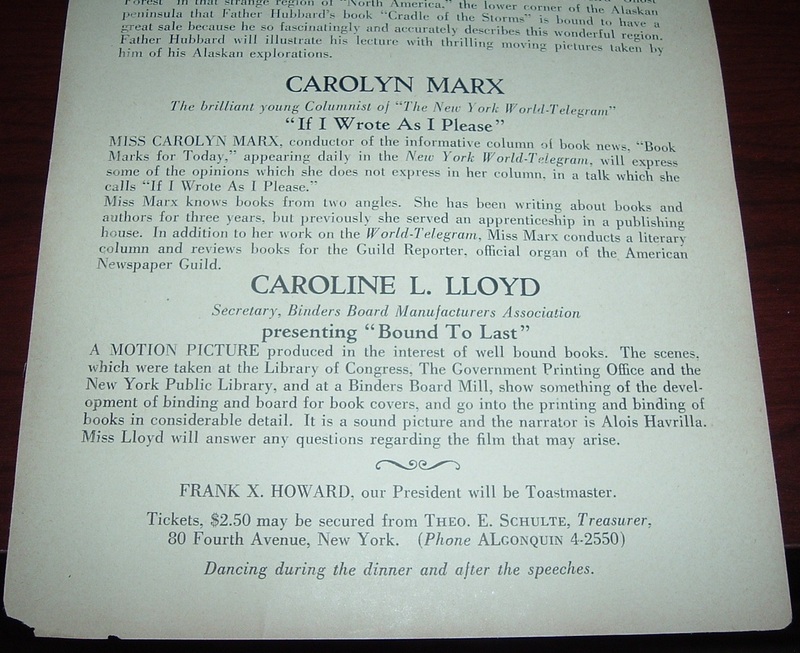 It also sponsored an employment bureau and lectures related to the interests of book professionals. Originally a men's-only club, the League first admitted women in 1949. 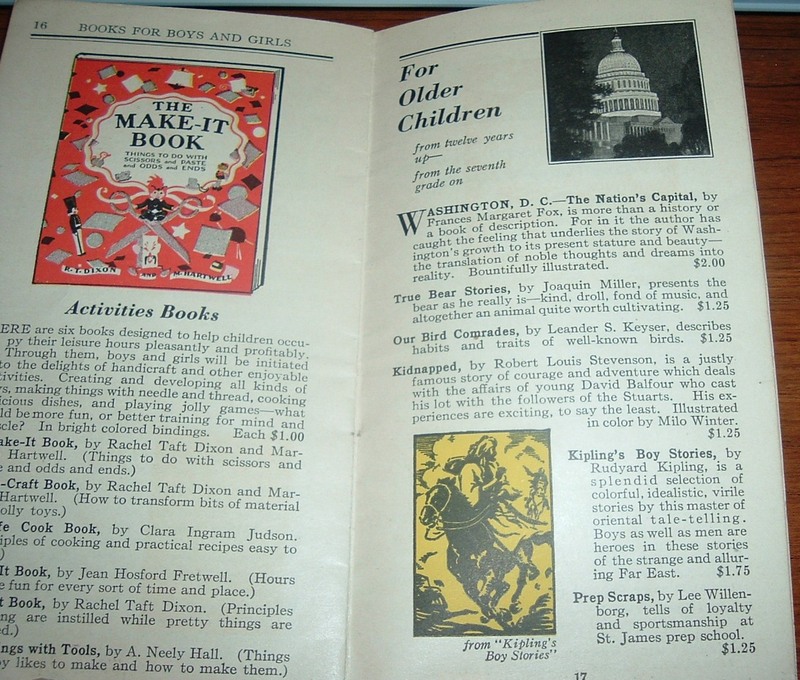 Bookseller Rulon-Miller's catalog number 141, offers a listing of league ephemera and a nice bit of history that complements what I found on the Princeton site. 307. BOOKSELLERS’ LEAGUE. Archive. New York: 1895–1950s... 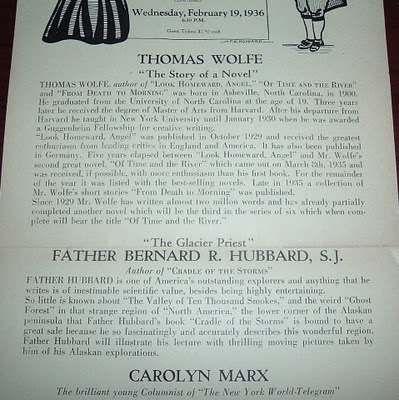 This archive is ex-Aaron Mendoza (of the Isaac Mendoza Book Co., NYC, and President of the League in 1944–45), and thence ex-Jacob Chernofsky, editor of AB Bookman’s Weekly. Includes 5 small quarto notebooks containing the minutes and expenditures of the League, covering the year of the League’s founding in 1895 to 1930, in various hands, and with numerous printed and in-house mimeograph slips pasted in. 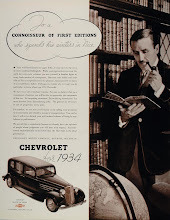 Among the presidents of the League during these years were Alfred Growoll, B. W. Huebsch, R. E. Sherwood, and Arthur Brentano, and among the secretaries recording the minutes were Charles A. Burkhardt, A. Growell, W. H. Parker, E. W. Johnson, Francis Gilman, A. G. Seiler, William S. McKeachie, A. W. Wessels, and others, pro tem. The Booksellers’ League was the first organization of its kind in the United States. 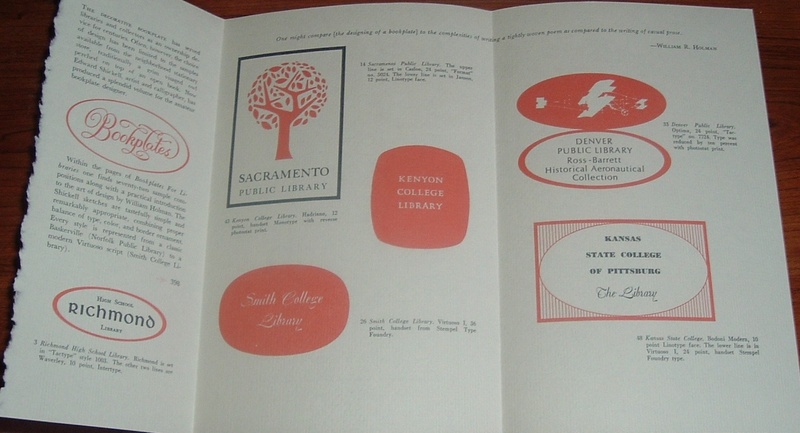 Not only did the League seek to develop a true spirit of fraternity and mutual help among booksellers and publishers, it also sponsored an Employment Bureau, a Booksellers’ School, and a lecture series. 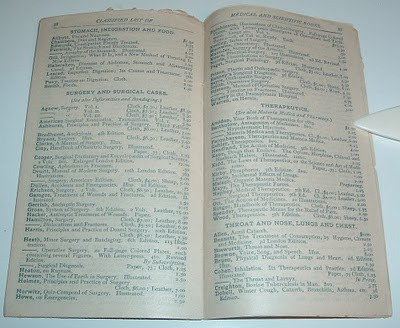 The list of those involved in the Booksellers’ League covers virtually every major publishing firm in the New York area (Harpers, Dutton, Putnam, Knopf, Fleming Revell, B. W. Huebsch, Edward Burt, W. R. Barnes, and many of these names are punctuated by the names of authors who attended meetings and gave lectures, including Sherwood Anderson, Zane Gray, Robert Sherwood, Alfred Noyes, Joseph C. Lincoln, Ellis Parker Butler, Bennet Cerf, and others. A treasure trove of the New York publishing and bookselling scene during its heyday. 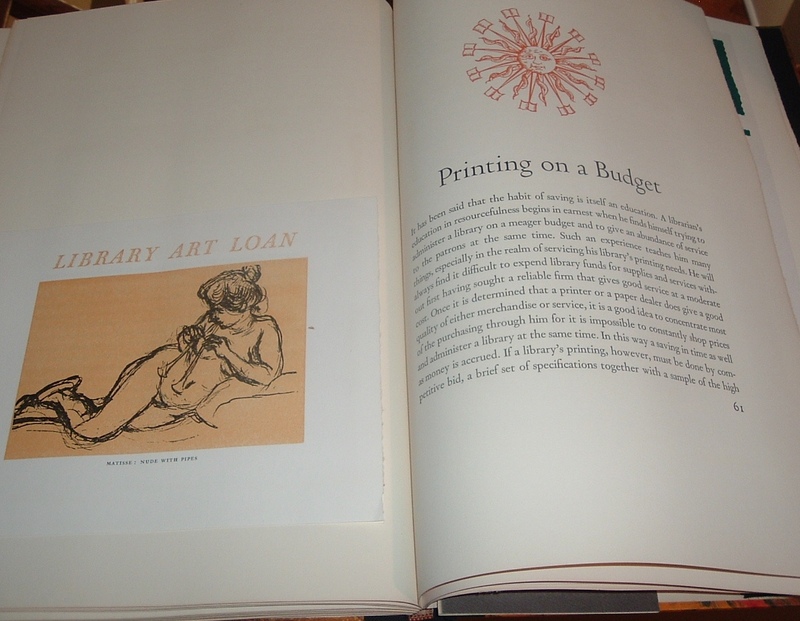 And I was pleased to find a little piece of ephemeral treasure and learn about this pioneering and venerable organization for bibliophiles. 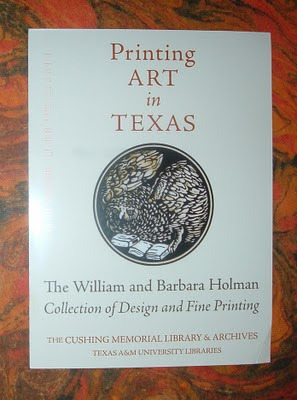 Fairly fresh off the press is my latest piece of book-related ephemera--an announcement for the opening of the exhibit: Printing Art in Texas: The William and Barbara Holman Collection of Design and Fine Printing. 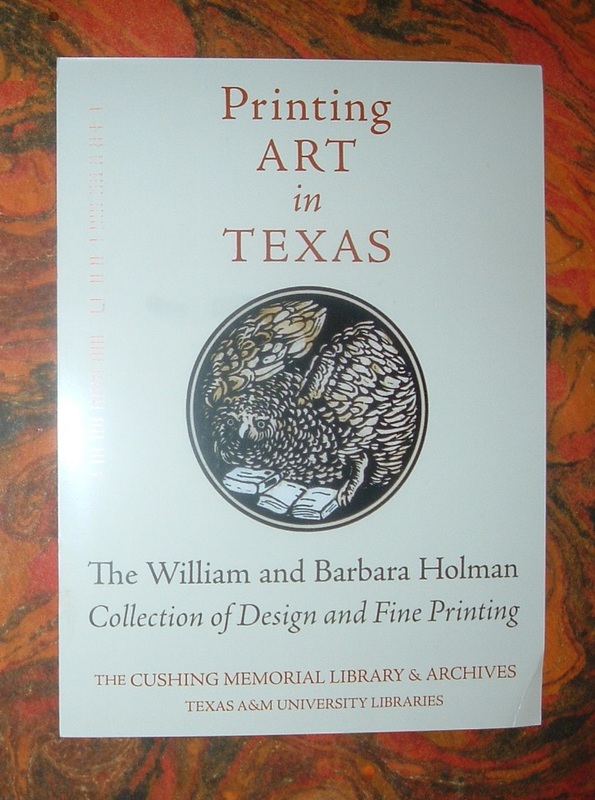 The exhibit will run from November 5th to December 31st, 2010 at the Cushing Memorial Library at Texas A&M University and will feature the works of Bill and Barbara Holman, including books, broadsides, proofs and printing blocks, and correspondence covering a sixty-year collaboration in fine printing and the book arts. One of the books I'm guessing will be featured is a copy of the one below, which I used as a backdrop for the announcement card photos above. 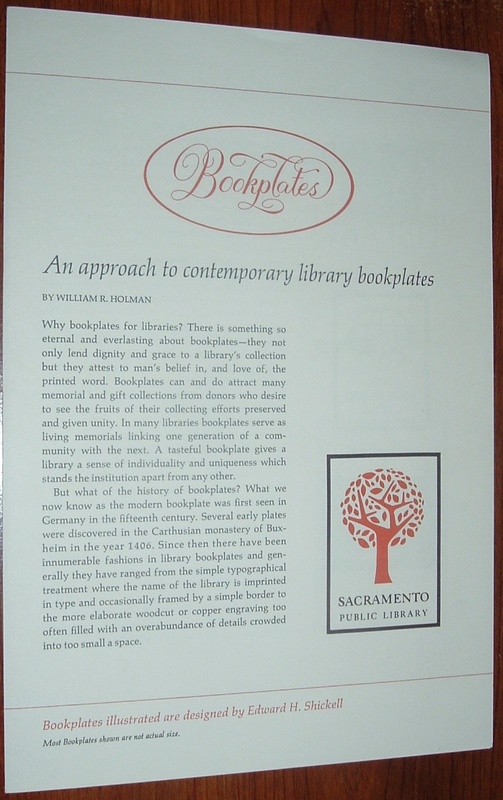 It's titled Library Publications, written by William R. Holman, with a Foreword by Lawrence Clark Powell. 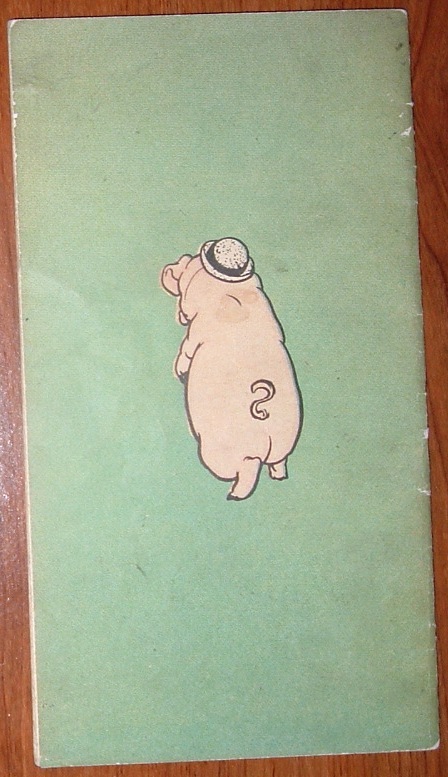 Barbara Holman designed the book and it was published by Roger Beacham (the Holman imprint), in 1965. It's a beautiful example of their collaborative, creative work that will be on display at Cushing Memorial Library and an important addition to the archives there. Quick update on the Holman exhibit, 11/05/2010... a beautiful day in College Station, Texas on the Texas A&M University campus today. 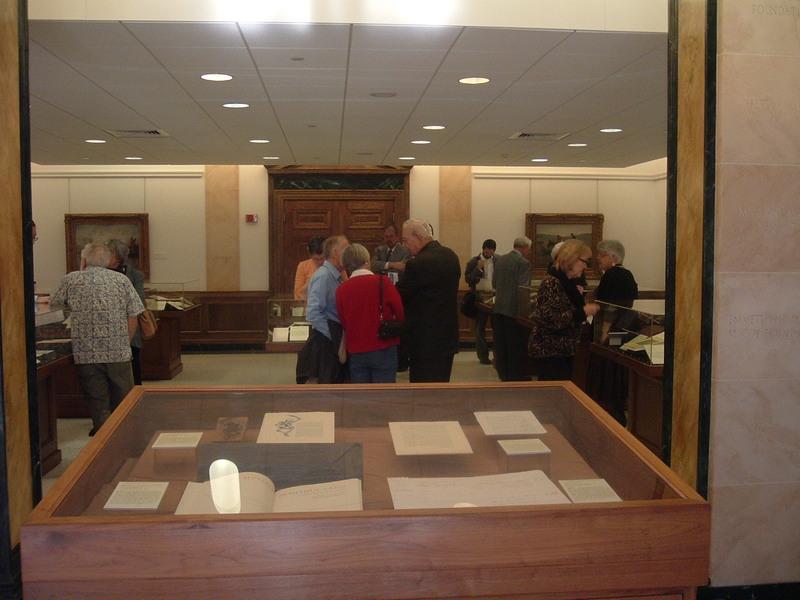 And the Cushing Memorial Library created a beautiful exhibit for the Holmans' collection now in their archives. No additional print ephemera to report on, but here's a digital photo of the exhibit, with Bill Holman, center, talking to a couple about the materials in one of the exhibit cases. The News Book Store in Goshen, Indiana had this Rand McNally children's book guide printed for them with the front cover of the stapled booklet customized to feature their business name. There is no date, but the time period appears to be circa 1920s-30s. A quick check for first or early Rand McNally printings of a sampling of these books confirms that time period. 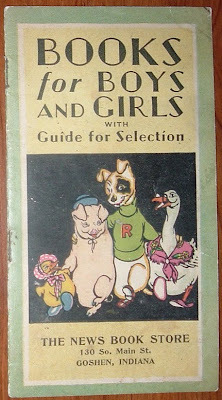 The complete title of the guide is Books for Boys and Girls with Guide for Selection. The first page in the guide serves as the title page and contents page and indicates Rand McNally as the publisher of all the books listed. 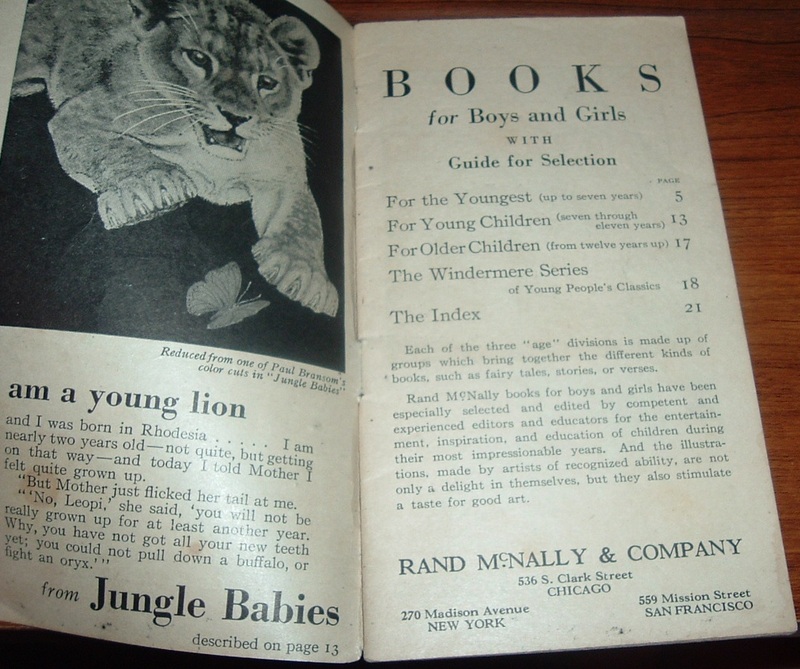 Click here to see another piece of Rand McNally ephemera I featured on this blog, which includes a very brief history of the company. 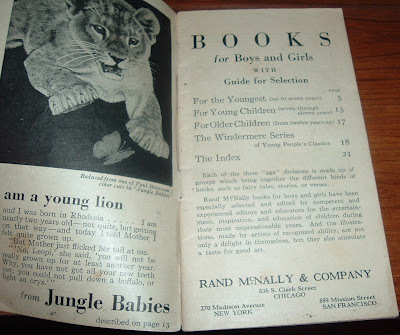 Rand McNally books for boys and girls have been especially selected and edited by competent and experienced editors and educators for the entertainment, inspiration, and education of children during their most impressionable years. 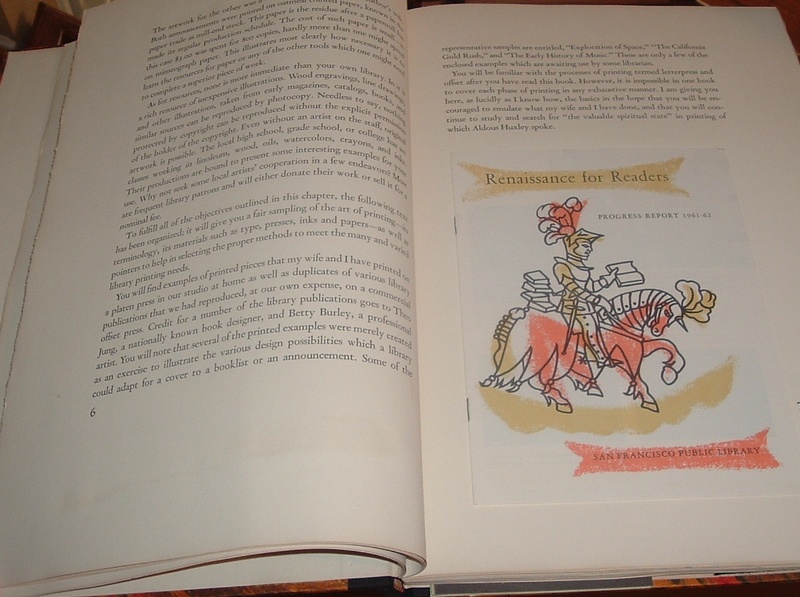 And the illustrations, made by artists of recognizable ability, are not only a delight in themselves, but they also stimulate a taste for good art. 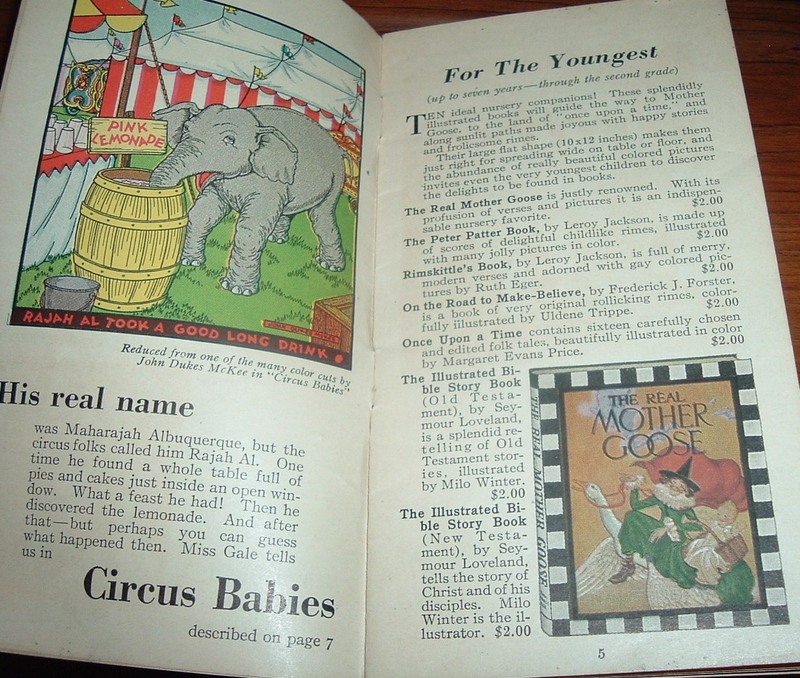 Following are samples of the books available and examples of the accompanying art. Wondering if The News Book Store in Goshen left any trace of its existence that could be found via an Internet search, I did just that and found the following: A Standard History of Elkhart County, Indiana (1916) indicates The News Book Store was owned by the local newspaper, which also established a bookbinding office and a job printing office. 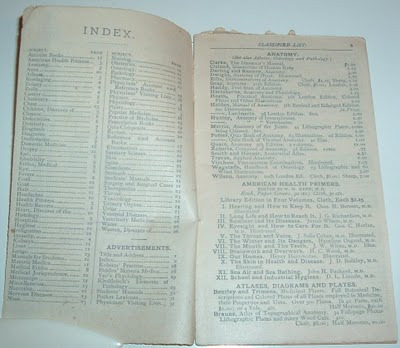 Several addresses are indicated for the book store and its parent company, none of which match the address on the Rand McNally guide, but after a 1914 fire, the newspaper plant and job printing offices were rebuilt and the book store sold. Perhaps contradicting this timeline somewhat is a Publisher's Weekly report from 1911 that indicates parent company stockholder Mr. Grant Himes bought all interest in the book store before the fire and ran it independent of the other operations. After the fire three years later, Himes had to have been the one to sell the book store. It must have continued under the same name until at least the time of the Rand McNally guide. At some point after the fire, presumably, The News Book Store wound up at 130 South Main Street. If you do a Google maps search of that address and select the satellite view, you'll see that the business does not exist at that address and perhaps does not exist at all anywhere by any name. What's interesting, though, is the business down the street--another bookseller you may have heard about recently: Better World Books, a company with an innovative approach to the bookselling business. They're located just off South Main Street in Goshen. And if you look back at that Google map, you'll see that a few blocks down South Main Street is the Goshen News, which very well could be the descendant of the old News Printing Company, which once owned The News Book Store that sold the Rand McNally books in the Books for Boys and Girls guide. 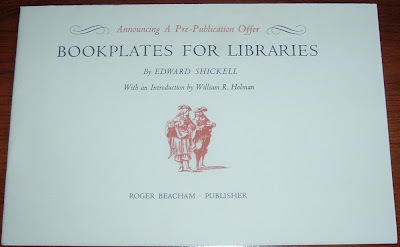 Going through my Holman Archives of donated ephemera recently, I came across a set of promotional pieces for a 1968 Roger Beacham (Bill Holman's imprint) publication: Bookplates for Libraries, by Edward Hampton Shickell. I recalled reading a post on the Library History Buff blog about the book and thought these items would provide a tie-in from the printed ephemera angle. 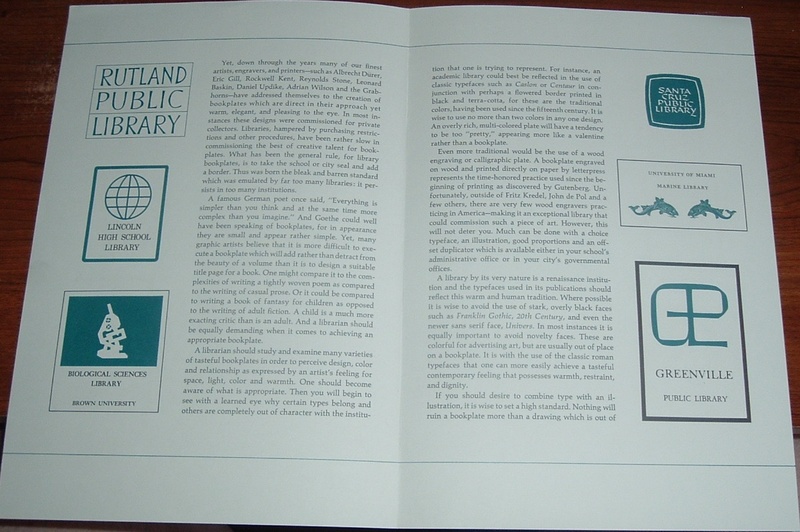 Included here in this "prospectus package" are an announcement, a brochure, and a piece featuring William R. Holman's Introduction to the book. Each has a distinct job to do for promoting the book, but collectively they function as a prospectus. First up is the announcement of the book and a pre-publication offer. 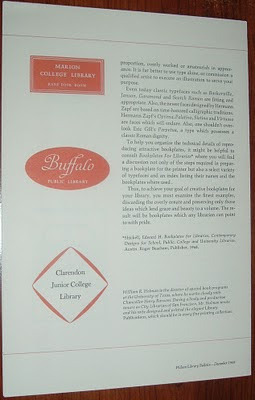 The oblong design opens to nearly twenty inches in length, features a brief description of the book and author, and examples of four bookplates accompanied by this statement about the book: A reference work which answers every librarian's need for appropriate and well designed bookplates. 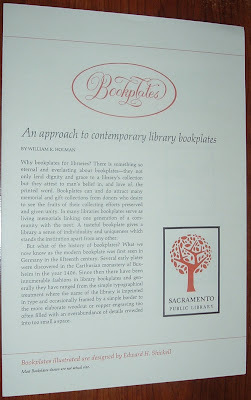 There is something so eternal and everlasting about the bookplates--they not only lend dignity and grace to a library's collection but they attest to man's belief in, and love of, the printed word. 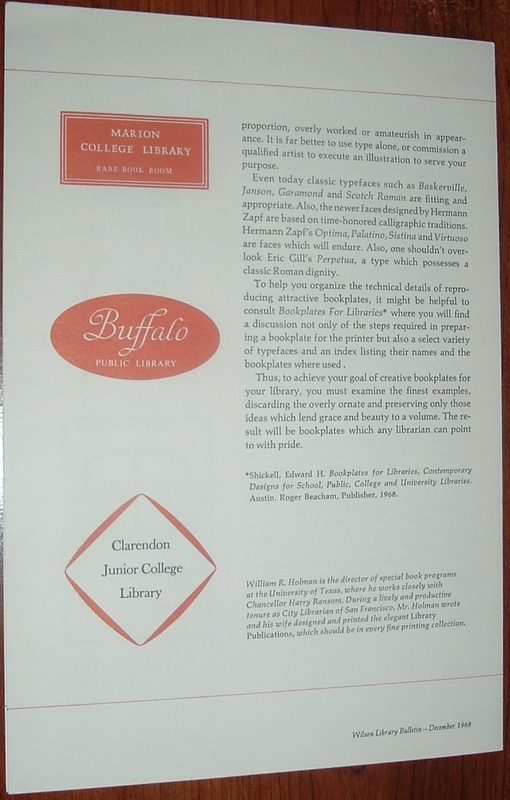 The last piece of advertising for Bookplates for Libraries is a tri-fold brochure with the front cover about half the size of the other pages in width, with an aesthetically pleasing ragged edge. Equal amounts of space are dedicated to Donald Dickinson's review and more examples of the bookplates that represent the content of the book. The volume itself is a convincing argument of the thoughtful combination of type, ink and paper. 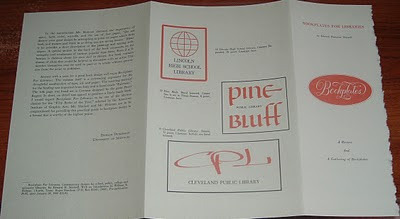 And that's what you get with these three examples of promotional ephemera--the thoughtful combination of type, ink and paper.